Something unusual is set to happen during Donald Trump’s inauguration: Nearly 8,000 National Guard troops protecting the nation’s capital will lose their commanding general. It’s unclear who approved the mid-ceremony change in command. 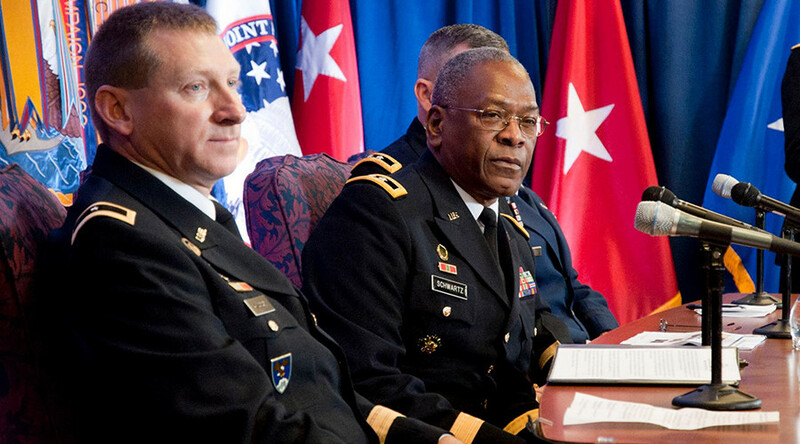 As the commanding officer of the DC National Guard, Major General Errol R. Schwartz is a presidential appointee. Schwartz will not only oversee the 2,700 troops in DC’s Army and Air Force National Guard during the inauguration, but also an additional 5,000 unarmed troops from 40 states and military air support that are part of the Joint Task Force-District of Columbia (JTF-DC). Schwartz will be removed from his post effective January 20 at 12:01pm local time ‒ as soon as the United States’ commander-in-chief takes office, according to a memo obtained by the Washington Post. 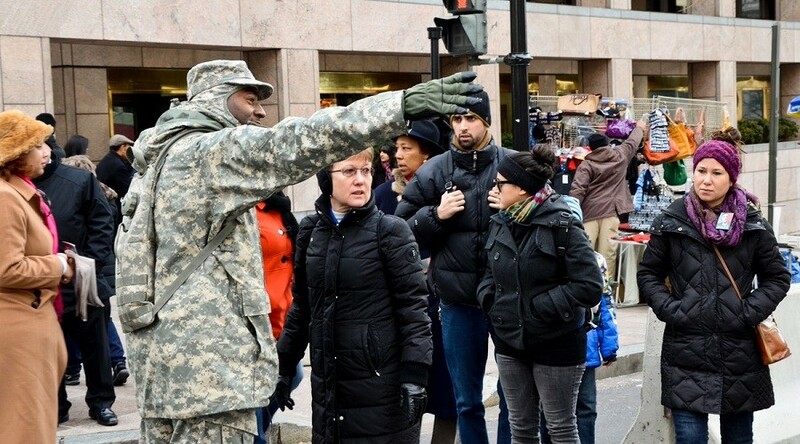 A post on the DC Guard’s Facebook page says that he “will retire” and “step-down” at noon. It is traditional for political appointees to tender their resignations ahead of the inauguration, regardless of incumbency. Since Schwartz, 65, was appointed to head the guard in 2008 by President George W. Bush, he offered resignation letters ahead of the 2009 and 2013 inaugurations of President Barack Obama, but those were not accepted, Major Byron Coward, a guard spokesman, told RT. It is unclear who accepted Schwartz’s resignation, which was tendered in December, Coward said. RT has reached out to Trump’s transition team for comment, but has not received an answer. DC City Council members decried the announcement and the timing of the removal. Schwartz isn’t the only person who must leave his post as soon as Trump is sworn in as the United States’ 45th commander-in-chief. The president-elect’s transition team issued a blanket edict just before Christmas requiring that all politically appointed ambassadors leave their posts by January 20 “without exceptions,” the New York Times reported. A leadership vacuum there wouldn’t prevent the agency from fulfilling its essential duties, but it won’t be able to advocate for itself in Congress, and the employees won’t be answerable to anyone, Bob Rosner, the co-chair of the Science and Security Board of the Bulletin of the Atomic Scientists and the former director of Argonne National Laboratory, told Gizmodo. The legislation authorizing the NNSA specifically states that non-NNSA officials are prohibited from managing agency staffers. An NNSA official speaking on background denied the Gizmodo report, however, Defense News reported. While the transfer of power between Obama and Trump takes place, Schwartz will transfer command of the DC Guard and the JTF-DC to Brigadier General William Walker, who currently serves as both the commander of the joint task force and the guard’s land component commander. He has been trained to take over, Coward said. “General Schwartz’s retirement will have no impact to the support of the presidential inauguration mission or to our interagency partners. 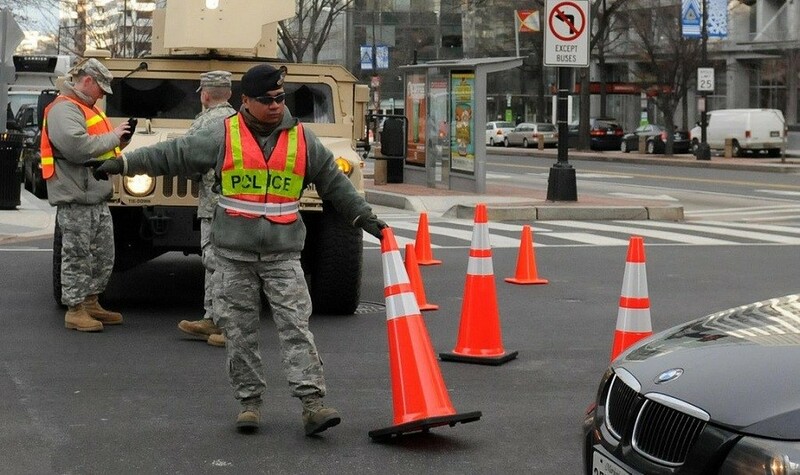 We will continue to be ‘always ready, always there,’ and supporting the presidential inauguration is no exception,” the DC Guard said. Unlike states, where governors tap the commanding officers of the National Guard, in the District, that job is left to the US president. The inauguration deployment is a complicated one, requiring DC to send a letter to the Secretary of the Army as part of a seven-step process to initiate the guard’s activation. Soldiers and airmen in the guard will help local civilian authorities with traffic control and crowd management, among other activities. The DC Guard will also march in the inaugural parade.